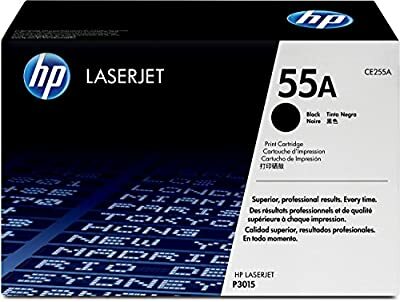 HP 55A (CE255A) Black Toner Cartridge for HP LaserJet Enterprise 525 P3015 HP LaserJet Pro M521. HP 55A (CE255A) toner cartridges work with: HP LaserJet Enterprise 525, P3015. HP LaserJet Pro M521. Original HP toner cartridges produce an average of 71% more usable pages than non-HP cartridges. Cartridge yield (approx. ): 6,000 pages. 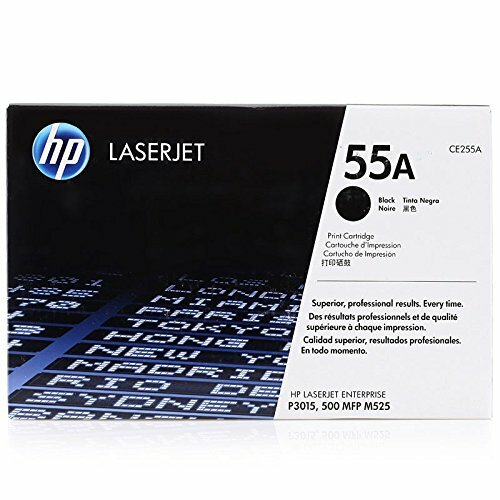 55A toner is designed to work with your HP printer for high quality, reliable results every print. Ensure that your printing is right the first time and every time with HP printer toner: 55A toner. 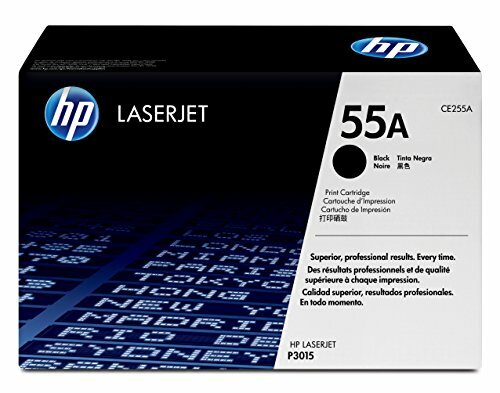 What's in the box: 1 New Original HP 55A (CE255A) toner cartridge. Color: Black. 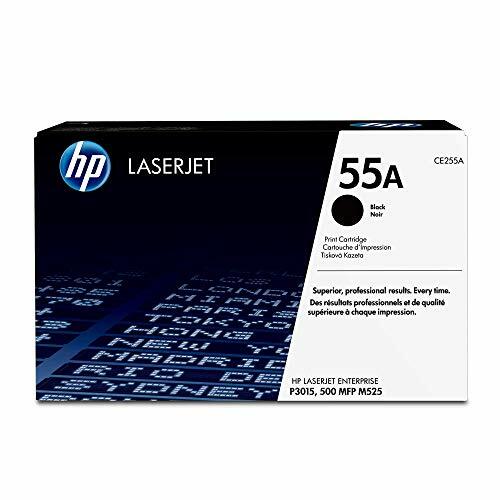 Color: Black Original HP Cartridge Yield (approx): 6,000 pages Enable office efficiency with the fast, trouble-free printing of Original HP supplies. Uniquely formulated HP toner provides the quality and reliability every business wants. Time-saving supplies management makes printing productive, cost-effective Take confidence in the recognized environmental leadership of HP. From product design to a free, convenient return program through which Original HP LaserJet cartridge materials are recycled, HP has a long-standing commitment to the environment What's in the Box: New Original HP (genuine) toner cartridge HP Printer compatibility: HP LaserJet Enterprise 525, P3015. HP LaserJet Pro M521.